Are you also a plant whisperer? I love gardening, but once September comes to my Zone 4 garden, I admit I’m ready to start packing things up and settling in for winter when I can get back to other things I enjoy, like reading. That being the case, I tend to get an early start on doing things like tossing spent annuals and vegetables in the compost bin. While I’m doing that, I try to give away plants I’ve got too many of or don’t like anymore—I finally gave away that dreadful Vanilla Strawberry hydrangea (Hydrangea paniculata ‘Renhy’) I’ve been complaining about forever. Honestly, it’s a gorgeous plant in many ways, but the huge flower heads spend most of their time hanging down like the noggins of pouting children. Not. For. Me. The other thing I do, which I’m sure looks kind of strange, is talk to my plants. Yes, it’s true that scientific studies have produced mixed results on whether talking to and/or playing music for plants has beneficial effects. But I don’t care. I enjoy crawling around on my hands and knees talking with my garden. I laugh, ha, ha, ha, knowing that no, I’m doing something so much weirder. I’m talking to (or maybe with) my plants. 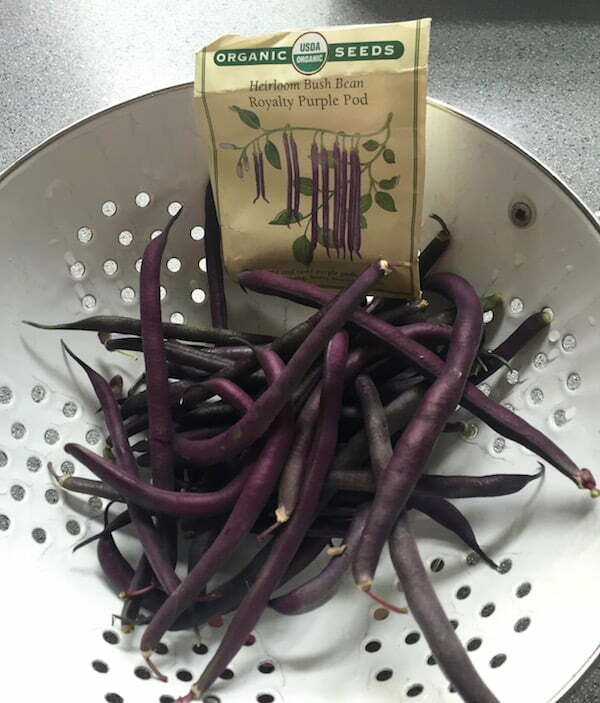 Heirloom Royalty Purple Pod are the best bush beans ever! Check out Renee’s Garden Seeds for these and lots of other great seeds. 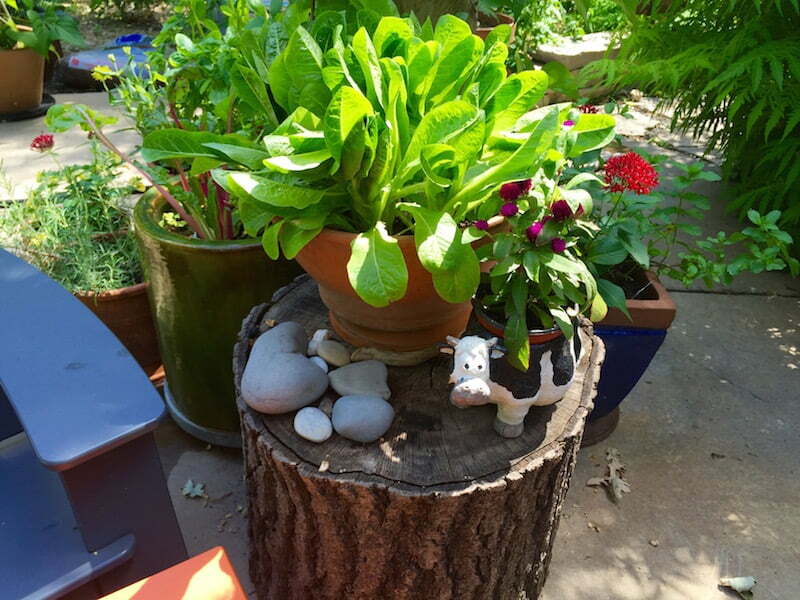 I wouldn’t try to explain this to non-plant people, but I figure you wouldn’t be reading this blog if you didn’t love plants. So you probably understand what I mean when I say that I think of my gardens as a living creature, maybe even a friend in some ways. That being the case, when my husband, Mike, kindly offers to help with fall cleanup by using the hedge trimmer to more efficiently cut back plants, I cringe. I can almost hear the plants scream. Still, I let him have at it on a couple of areas full of hostas. And then I just can’t bear it, so I go on working with my hand pruner, cutting to the ground leafy things while leaving perennials with seeds for the birds like black-eyed Susan, grey-headed coneflower, globe thistle, Joe Pye weed and golden rod. As I move slowly from bed to bed in the fall, I take the time to do things like pull weeds along with stray maple and oak seedlings, dig up and toss out plants that are diseased and take note of sparse or overgrown spots. Like you probably do, I have a plant wish list and I’m always looking for an opportunity to squeeze something new in somewhere. Topping the list right now is Persicaria, not the variety with white flowers that you may think of as knotweed. I’d like to get ‘Firetail’, which is commonly known as mountain fleece. Hardy to our frigid Zone 4, ‘Firetail’ has pretty pink/red blooms that last from June to October. 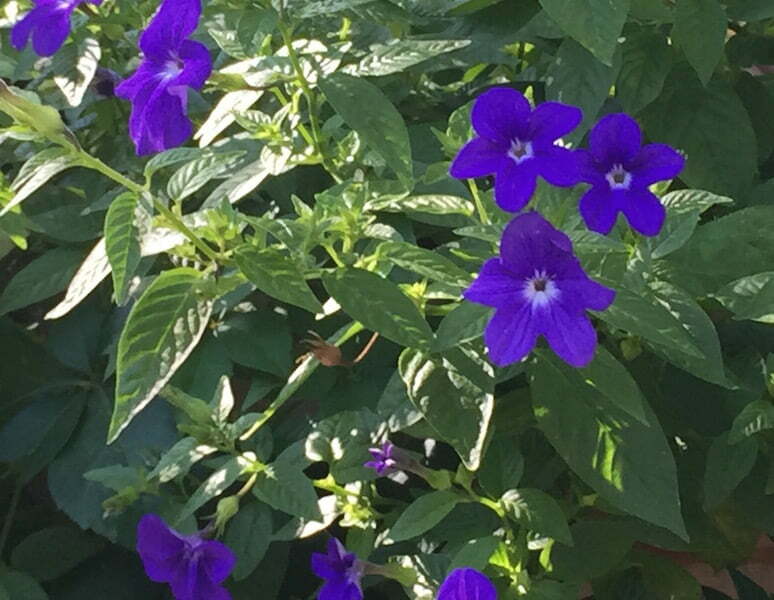 Plants are bushy, loved by butterflies, and grow 3 to 4 feet wide and tall in full sun to part shade. But I digress. Let’s get back to plant whispering. Even if you don’t believe that talking to plants is helpful to them, it probably will be to you. Kneeling in the dirt, thanking plants for their brilliant fall leaves and interesting seedpods while apologizing for my role in their powdery mildew problem and other troubles, I feel calm and happy. Hours go by and it seems like only minutes. And all of the list making, teeth grinding, rush, rush, rush of life slips away as I enjoy the breeze, the sun on my face and watching the butterflies and bees taking the last sips of the season. Everyone should be so lucky to have a love they can get lost in. I agree Meleah. It doesn’t matter if the plants can ‘hear’ me or not. It makes me feel good to start the conversation, whether it’s a ‘oh you dear little thing’ or a stern ‘now listen here stop being such a thug and stay where you belong’!